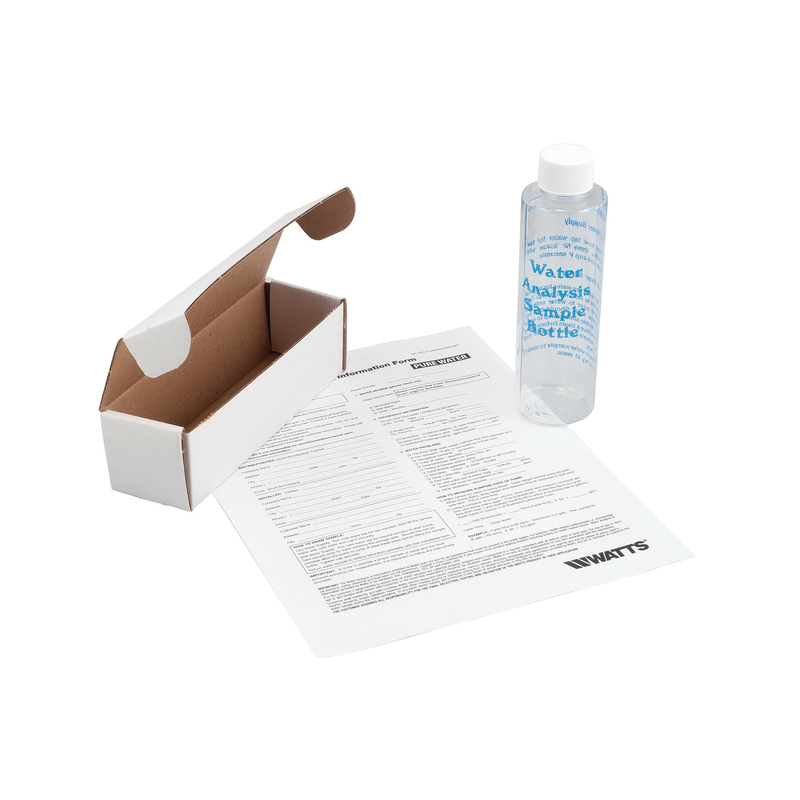 This water test kit includes a 250 ml sample bottle, water analysis, an information form to be completed one side is for residential use and the other side for commercial use and has pre-paid postage return for the water sample. This water test will test for 6 of the most common problem water conditions such as water hardness, iron, TDS-total dissolved solids, pH, copper and manganese. The results of the water sample test will include equipment recommendations based on the results and the information provided.